Marg and her husband Keith have lived on the Sunshine Coast since the early 1970's and their close knit family members all live and work locally. The Deighton's owned two service-oriented businesses before Marg reached out for the opportunity to fulfil a long-time ambition to sell real estate. This decision has held her in good stead since 1990. Her passion for Real Estate and, most importantly, the thrill of bringing to realisation the dreams of vendors and home buyers has earned her top awards in the industry and high regard by past clients and also by fellow Agents. Hardwork, honesty and integrity are served with a generous sprinkle of common sense. Marg takes her Vendor's circumstances to heart and will search relentlessly to match sellers with the right buyers. Her warmth, winning smile and infectious enthusiasm have cemented friendships with her clients and most of her business is generated through referrals. 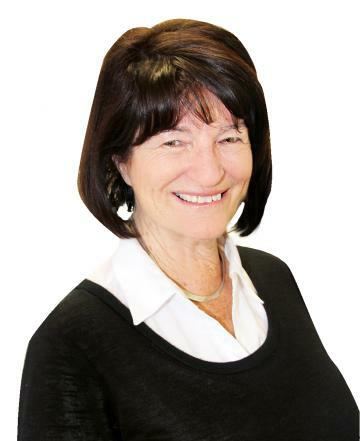 Marg is one of the most well-known, trusted and successful Real Estate agents in Buderim and surrounding areas. She and Keith now live in Flaxton, so Marg has expanded her operating area to include the hinterland. Not all agents are the same so see our testimonials page for what my clients say about me! To Margaret and Keith, With thanks for all your support and help in getting us sold. You kept our spirits up when we have had our down days. We shall miss seeing you. Also many thanks to Brenda who has been most helpful at all times. With much love and kind thoughts. Joyce and Colin. At 0.87 acres, a block of residential land this size is a rare find in Bli Bli! Build your dream home in a beautiful neighbourhood close to schools, beaches and shops with easy access to the airport and Bruce Highway. Situated at the end of a quiet cul-de-sac this block has an elevated house site with a leafy outlook over the property. Surrounded by quality homes, you won't have to fear over capitalising with an adjoining property just listed at over $1M. The location is: Land size: 3546m2. Set at the end of a quiet cul de sac this is an ideal family home in the heart of Bli Bli. Recently upgraded with brand new carpets and fresh paint throughout. Very private, with amazing views from almost every room! The house features: The area under house is huge. It could fit multiple vehicles, boats, trailers and other toys, and has three large lockable storage areas. It could also be built in to create even more space, a granny flat, or teen retreat. The location is: Land size: 3228 m2. This is a rare chance to secure an immaculate level property in a prime Buddina location, walking distance to Buddina Beach coastline, Balsa Park Nature Walk, Mooloolah River. Have you ever dreamed of waking up, walking down the beach early in the morning, watching the sunrise and feeling the sand beneath your feet? Your wish has come true. This is your dream lifestyle. Looking at downsizing, sick of paying rent, or as an investment opportunity, this property provides real value at entry level. Located at the rear of a small complex on top of Buderim within walking distance to shops and transport, this immaculate townhouse offers plenty of privacy plus a very peaceful setting. Many features include: * Immaculate spacious 3 bedroom townhouse. * Downstairs - open plan living, dining, kitchen, master bedroom with ensuite, laundry. * Small complex of 5 units. This beautifully presented home is situated on a private 913m2 allotment in a quiet cul de sac on the eastern slopes of Buderim. It is positioned to enjoy the views to the ocean, and the convenience of shops restuarants, boutiques, medical centres and public transport is just minutes away. The features are many: * Main Floor: Spacious living, dining, kitchen, laundry plus 3 bedrooms. * 3 spacious bedrooms, master bedroom with ensuite and extra large walk in robe. Centrally located, with just a short walk to the Buderim Village with its cafes, medical centres, supermarkets, restaurants, boutiques and public transport, this home is ideal for a buyer wanting convenience and easy care living on one level. Features include: * Level and fenced 809m2 * 3 Bedroom brick and tile home, huge master with ensuite, walk in robe, and spacious sitting room * Office with library, cabinetry and cupboards * Multiple living zones..formal and informal, including a light bright sunroom * Premium kitchen, stone benchtops, Miele appliances, induction cooktop, loads of drawers and wide servery, insinkerator plumbed in fridge * Outdoor entertaining area overlooking lush gardens * Double lock up garage with internal access, ample storage, and garage flooring sealed for easy care * Separate access to 3rd garage or workshop with workbench, mezzanine storage, 3 phase power, and parking for campervan and small boat (tinnie) * Everything in this home has been carefully designed for a secure and easy lifestyle Ducted air conditioning, ceiling fans, crimsafe security screens, alarm system, 2.2 kw solar electricity, town water and computerised bore for garden. An ideal home for retirees, small family or any buyer wanting a property for convenience, nothing to spend, no hidden faults, and a great neighbourhood. What a gem....and just 5 minutes to the highway, 10 minutes to Mooloolaba Beach and the CBD of Maroochydore, 20 minutes to the Hinterland and 60 minutes to Brisbane. An inspection will delight. By appointment only. A truly unique property, "Nunkeri Place", offers over 3 acres of mainly pristine rainforest and fully landscaped gardens, with a real sense of seclusion and tranquility. It provides the ultimate tropical sanctuary with multiple residences, business facilities, tennis court and relaxation opportunities, unequalled to anything in the marketplace. The property allows accommodation for three families of a substantial business centre. This elegant family home with beautiful views captured from wrap-around verandahs offers endless conversion opportunies. Is has prevously been used as a certified B&B so has dual living potential. Quality craftsmanship is evident throughout. Features include: * Fully fenced 3881m2 block with circular driveway and fully established manicured gardens. * 2 storey home with spacious casual and formal living areas on both levels. * Beautiful hardwood floors and timber fretwork, cedar joinery. Offered to the market for the first time by original owners. This pristine residence, on a glorious 6,410m2 partly fenced usable block, offers a picturesque and low maintenance lifestyle in the most delightful, lush setting. Private and charming, this is truly special. The home itself is complete with an elegant entrance with it expansive circular driveway with the security of 2 electric gates. Features include: * 4 spacious bedrooms, 3 quality bathrooms, master with ensuite with spa bath. This charming brick and tile home is situated in a sought after location on Buderim's Northern escarpment, just minutes to public transport, shops and cafes. The peaceful cul de sac offers a convenient, quiet and safe environment. The main features include: * 803m2 block, fully fences with area for children and pets to play. * 3 spacious bedrooms, all with built in robes. * Open plan, free flowing living/dining area is air conditioned. * Private sparkling inground salt water pool. QUALITY LIFESTYLE LIVING ---NORTH FACING, PRESTIGE LOCATION. The fully renovated, generous-sized family home is set on a beautifully landscaped 1824m2 block with private northerly outlook to Mt Coolum. There are four bedrooms, two bathrooms, both formal and informal living areas, a quality kitchen, expansive alfresco entertaining and a sparkling resort-style in-ground pool. DLUG with side access and two additional carports. Walk to Buderim from this tastefully presented 3 bedroom duplex home. Set at the back of the block the compact and lush, pretty, low-maintenance garden is completely private. The living and dining area with timber floor, high ceilings and French doors is open plan and is adjacent to the kitchen with an island bench and excellent storage space. The covered deck has room for alfresco dining. A separate patio at the rear overlooks a private lawned garden. Features include: * Huge double garage. All to yourself, enjoy the absolute privacy and the scenery that is simply breathtaking at this semi-rural property of over 3 1/2 acres. Be at one with nature and take ownership of the spectacular ocean and hinterland views from the verandahs of the delightful single level contemporary home. Rain water tanks and 5KW solar with 2 invertors support this eco-friendly homestead. Features include a double lock-up garage and a large shed at the bottom of the established gardens. This affordable home, set on a large 1332m2 piece of land, is ideally located within walking distance to Mapleton, where you have all the benefits of this unique hinterland lifestyle. Character abounds in the open plan living area with its open fireplace and light, bright kitchen that has loads of bench space and cupboards. French doors lead to the lovely screened verandah with a North East aspect. All 3 bedrooms have built-in cupboards. Other features include: * Double carport. * Shed. STUNNING CONTEMPORARY ACREAGE LIVING IS UNCONDITIONAL. This designer contemporary lifestyle home offers the ultimate lifestyle home on a fully fenced 8145m2 block, with flat usable land, a delightful picturesque dam, and a sensational north-facing alfresco entertaining area simply stunning! This house has its own individual ambience and unique appeal – inspections are an absolute must to fully appreciate. Put the champagne on ice and submit your very best offer! FREE STANDING UNIT SHORT FLAT WALK TO BUDERIM CENTRAL. Heritage Gardens is a well appointed complex of brick and tile villas, right on Buderim's doorstep. The beautifully maintained gardens and convenient parking arrangements for visitors are a testimony to a peaceful and happy lifestyle. The fully fenced covered private patio leads off the open plan living area. The kitchen and dining areas are a delight. The home is fitted with security screens and the two bedrooms have built in cupboards and fans. Features: Free standing villa in quiet area. This is such an easy house to live in. Brick and tile, one owner, and conveniently located on a 884m2 block in beautiful Buderim with close access to all amenities and recreational escapes that the Sunshine Coast boasts, within the Mountain Creek School zone and Mooloolaba beach is minutes away. It is beautifully presented throughout and is light and bright. Living areas all have access to the outdoor covered patio that overlooks a private garden. DA FOR 9 RESIDENTIAL APARTMENTS & 3 COMMERCIAL SPACES OR DEVELOP AS YOU WISH BY APPLICATION. Opportunities don't come much more cracking than this.... a 1241m2 east facing flat block in Montville's main street offers potential to develop with fully council approved architect designed plans already in place for 9 residential units, commercial space and alfresco dining. The development applicant consists of approval for 9 x residential units plus 3 x commercial shops; or 275m2 of commercial space including alfresco dining....this is a superb location and site for a restaurant.